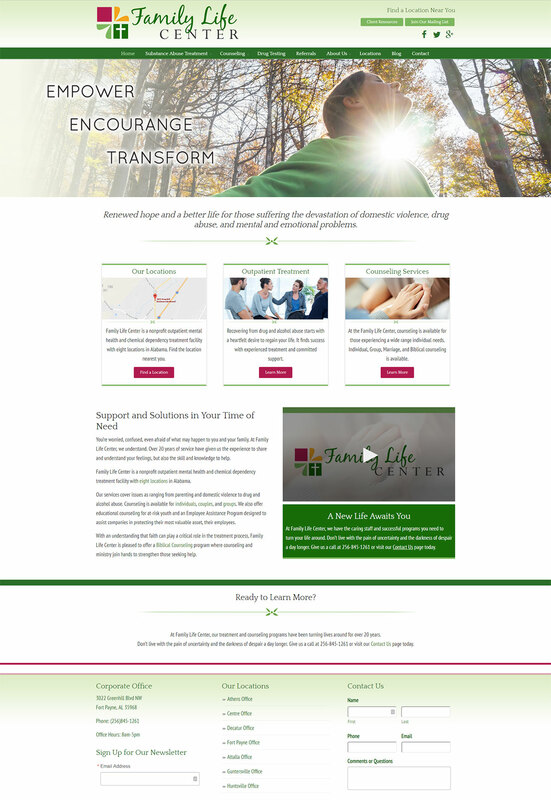 Located in Alabama, Family Life Center provides counseling and rehabilitation services. 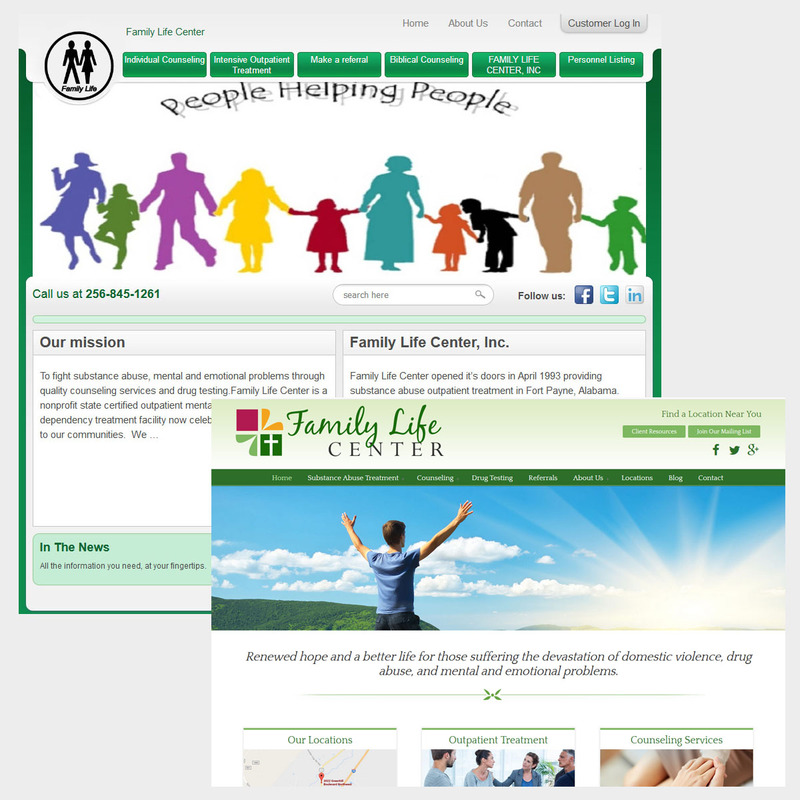 Growing since 1993, Family Life Center was in desperate need of rebranding and a website redesign. 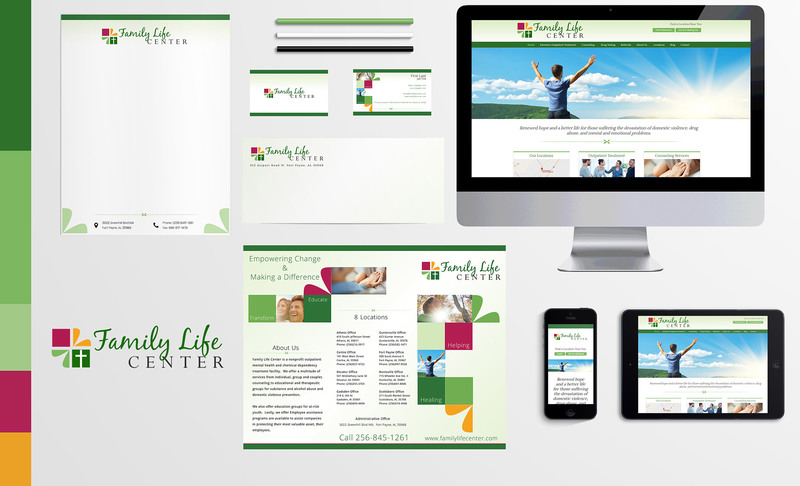 Chroma Marketing developed a new look and logo, a style guide, and branding board. Once that was established, we designed a trifold brochure, note pad, and window signage.